Police are pleased to announce that eight suspects will be arraigned in Magistrate Court at 12:00 noon, Monday, 22nd October, 2018 in connection with a number of investigations. A 20 year old male will be arraigned on two (2) counts of Armed Robbery and one (1) count of Attempted Murder. A 24 year old male will be arraigned on four (4) counts of Armed Robbery, in connection with four separate investigations. A 24 year old male will be arraigned on a charge of Possession of Unlicensed Firearm and Ammunition and Possession of Dangerous drugs. A 46 year old male will be arraigned on a charge of Possession of Forged Documents. A 43 year old male to be arraigned on a charge of Possession of Ammunition. Three (3) American adult males to be arraigned on charges related to a Fraud investigation. 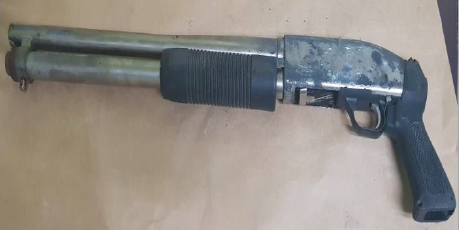 Shortly after 10:00am, Sunday, 21st October, 2018, Flying Squad Officers, acting on information conducted a search of an abandon building on William Street, Nassau Village and recovered a 12 gauge shotgun and 6 rounds of shotgun shells. A further check of the property led officer to recover a plastic bag with 12 rounds of .40 ammunition.